When I was young, we didn’t have the money to buy our Halloween costumes, so we used our imaginations and made our own homemade Halloween costumes. This was lots of fun for my sister and I. We would begin thinking up ideas in mid-September and then gather the supplies for the Halloween costumes that we chose. We worked on these after school and on weekends until they were perfect. If you, too, want to make your own Halloween costumes that won’t break the bank, then you’re going to love the ones we’ve picked out! I hope you enjoy these 3 DIY Halloween costumes that are economical and fun to make. 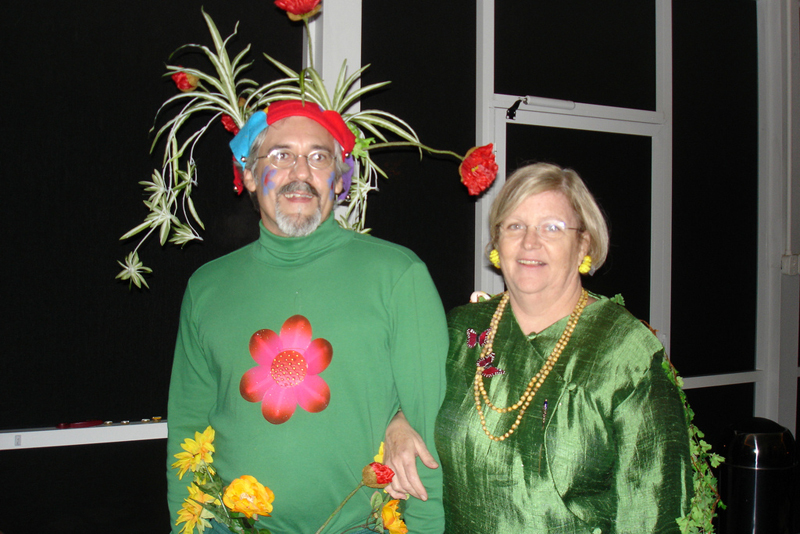 Plus, we’ve provided lots of other homemade costume ideas for you to consider. Being a hobo is always fun. 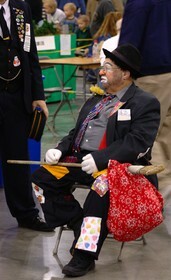 I loved this costume when I was young and used it several years, always adding a new twist each year. Overalls with suspenders that are well worn. Holes are a bonus. Use scissors to make holes in elbows, knees of clothing. Fray around edges of holes and also around collars, cuffs and pant hems. Using the fabric remnants, place on clothing to look like it has been patched. Stuff bandanna with fabric remnants and tie with knot. Fasten stuffed bandanna to broom stick, using the needle and thread. Pull some of the straw loose from the straw hat to make it look beat up and well worn. The more tattered looking, the better. TIP: You can use any old clothing you already have on hand. Or, pick up used clothing or fabric remnants at thrift stores and yard sales. Another homemade Hobo Halloween costume, plus lots of Hobo costumes for adults and kids that you can buy. This is another costume that I wore a lot. It was always fun to pretend to be a gypsy traveling across the country. Fasten miniature bells to ribbon. Sew ribbon with bells onto the waistband of your floral skirt. Attach some long strings of beads to the waistband of skirt on the opposite side from the bells. Apply glitter hairspray to sandals. Allow to dry. Give several coats using this method. An alternative method is to apply glue to the sandals and sprinkle in glitter. If you have long hair, curl it with a curling iron and spray with glitter hairspray; allow to dry well. Insert large hooped earrings in ears. Tie bandanna over your hair. Put on shawl & have fun. TIP: Long floral skirts, bandannas, bracelets, beads and bangles can all be purchased at thrift stores, yard sales, and even at department stores on sale. 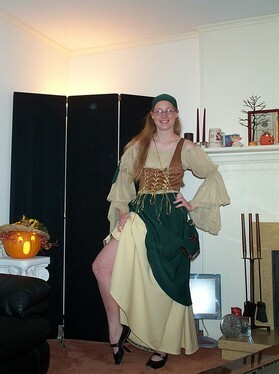 Another homemade Gypsy Halloween costume, plus lots of Gypsy costumes for adults and kids that you can buy. Another favorite. If I had to go out as an adult, I would definitely go as Mother Nature. This costume is beautiful and it represents all 4 seasons. With glue gun attach the bird to the bird’s nest and then attach it to the shoulder of the dress using either glue or thread. 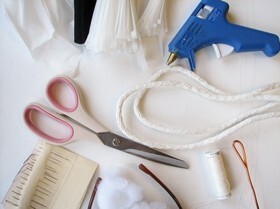 Use needle and thread to sew single artificial flowers, leaves and small branches or twigs to the dress. Be sure to use lots. On Halloween night, dress in the costume. If you have long hair, pile it on top of your head and insert artificial flowers. Another option is to make a flower wreath to wear as a crown. Drape flower, ivy, flower and snowflake garlands around your neck. Apply face paint or makeup, as desired. TIP: Miniature birds and bird nests can be purchased at craft stores and are very reasonably priced. You can also find birds and bird nests in the Christmas aisle of your local dollar store. Long dresses are available at thrift shops and on sale racks everywhere. Another homemade Mother Nature Halloween costume (including a Mother Nature Maternity Halloween costume you can make if you’re pregnant), along with lots of Mother Nature costumes for adults and kids that you can buy. In the end, homemade Halloween costumes are simple to make with items found in your home or gathered from thrift shops and dollar stores. The best part about making your own Halloween costume is that you will feel a sense of accomplishment when the costume is completed and you will have saved a lot of money over store-bought versions. Have fun with it! All you need is a few basic supplies and lots of imagination.